National Informatics Centre (NIC INDIA) got hacked by Anonymous ! National Informatics Centre (NIC INDIA) got hacked by Anonymous (India). Purpose of this defacement is just to awake the Govt of India . 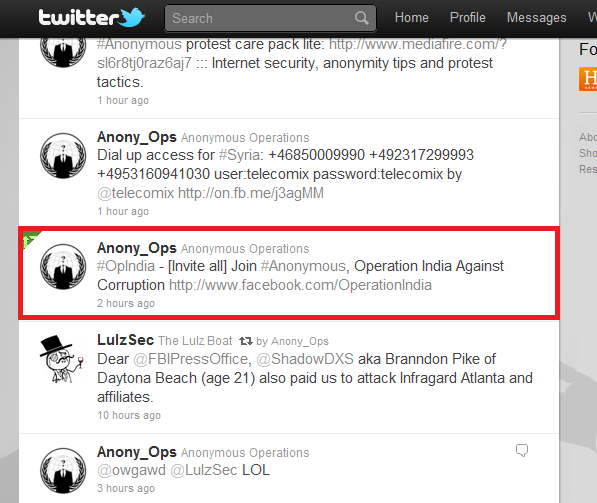 Anonymous now start Operation India against corruption. Anonymous are world famous activist and always fight against Injustice. When corruption, destruction and mayhem strikes from governments or corporations it is the goal of anonymous to awaken that entity and the public that a change must occur.As price pritchet once said, "change always comes bearing gifts. "Anonymous is the gift we have been waiting for. Honest and trustworthy persons working hard on our behalf for the betterment of mankind.